• 4th - Party on the Pitch! Following the success of last year’s Out of the Blue Appeal’s Family Fun Day, this May Bank holiday we will be hosting the “Party on the Pitch”. 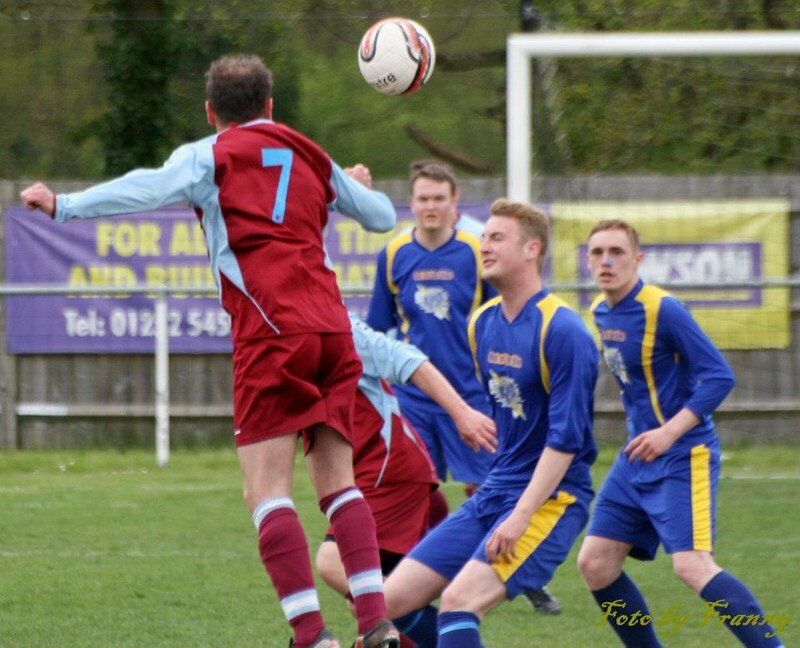 Join us from 3pm on Sunday 4th May up at Barlow’s Park, home of Tadley Calleva FC for the “Robert Sebbage Memorial Football Match” followed by a concert of local bands. There’ll be games for all the family, bouncy castle, Tug of War tournament, raffle, tombola and BBQ and refreshments. 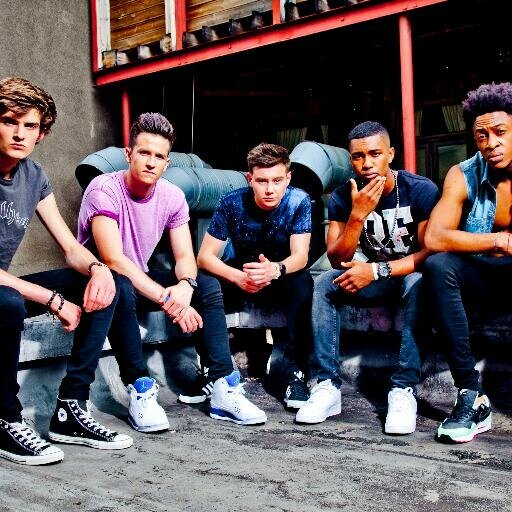 We are delighted to announce that home-grown boyband sensation CONCEPT have taken time out of their European tour to headline the Out of the Blue Appeal’s Party on the Pitch on Sunday 4th May! 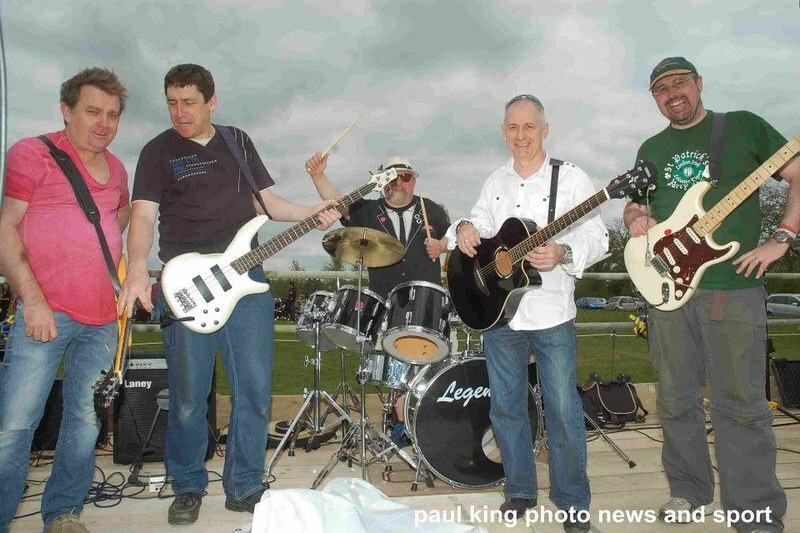 The 5 piece band, originally from Tadley have a strong connection with Robert Sebbage and the other families affected and have been a great support to the campaign since the start. They will join a fantastic line-up of local talent in the bank holiday concert - more details to follow soon. We hope to see you all there for some Bank Holiday fundraising fun!! The Fox and Hounds Public House in Tadley invites you to join them for some Easter Fundraising Fun on Sunday 20th April (12pm -6pm). 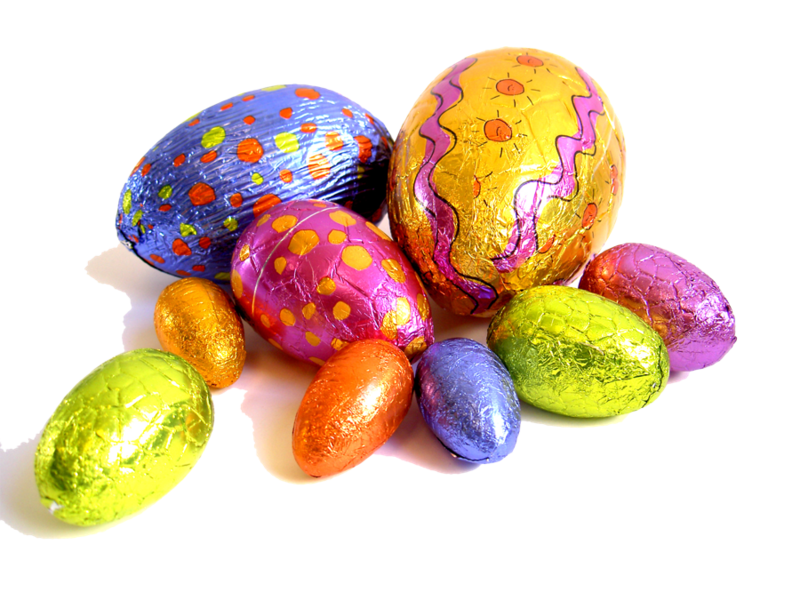 The fun and games will include the Great Easter Egg Hunt, bouncy castle and other soft play, face-painting and the Easter bonnet competition- make your own bonnet on the day or bring your own! • 19th - URGENT CALL FOR BAG PACKERS! Sainsbury’s Tadley have very kindly invited us back to bag pack in their store on Saturday 19th April. This is a great chance for us to raise some cash in the run up to the retrial in June but also a great opportunity for us to spread the word to the Tadley community about the upcoming Party on the Pitch! 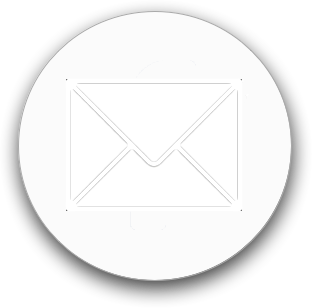 We appreciate that it is Easter weekend but if you can spare us an hour (or two) of your time to come along and pack some bags, please get in touch via [email protected] or via Facebook. • 21st - £461 - A huge thanks to all involved in Friday's Spiritual evening - View details. The Out of the Blue Appeal Fund would like to thank everyone who organised and participated in the Spritual Evening at Tadley Ambassador Club this weekend. Special thanks to Jane Cook for organising and Mediums Jane Meakin and Sharon Spence from Burghfield Spiritual Centre for donating their time. The evening was a joint fundraising effort for The Out of Blue Appeal Fund and St Michael's Hospice and raised £461 for each. Thanks to Caroline Nash for supporting us in this and to Donna Fowler and Nick Hicks, as always, for being there to help out. We continue to be humbled by the generosity and kindness of the Tadley community and thank you for your ongoing support! • 25th - £200 - Friends fundraising from afar! - View details. 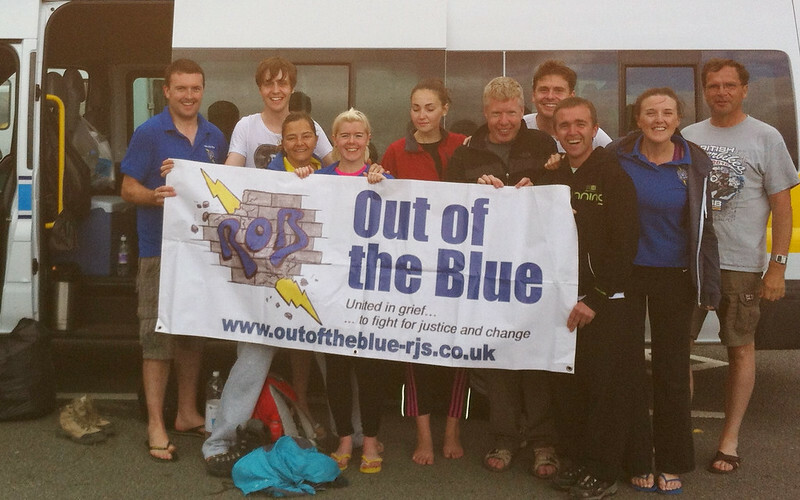 A huge thanks to friends of the Sebbage family who have been fundraising for the Out of the Blue Appeal Fund from out in Hong Kong. Richard Boyd and Kieran Townsend held a fundraising evening for ex-pats living and working in Hong Kong and they raised a brilliant £200! Thanks Lads!! • 22nd - £1611.11 - Santa’s little helpers - View details. Tadley Sainsbury’s kindly invited Out of the Blue to charity bag pack again on Saturday 22nd December. A belated thank you to all the generous Christmas shoppers and Out of the Blue bag packers who helped us raise a fantastic £1611.11! • 21st - Quiz Night - View details. £5 per person. Maximum of 6 people per team. Snacks will be provided but please bring your own drinks! • 30th - Over £1000 - Christmas Jumper Party - View details. It’s hard to believe, but it won’t be long before Christmas is upon us! So get into the festive spirit and join us at Tadley Rugby Club on Saturday 30th November for our Christmas Jumper party- all in aid of the Out of the Blue Appeal Fund. There’ll be a cheesy Christmassy disco, festive cocktails and games as well as a photo booth and prizes for the best (worst) Christmas Jumper. 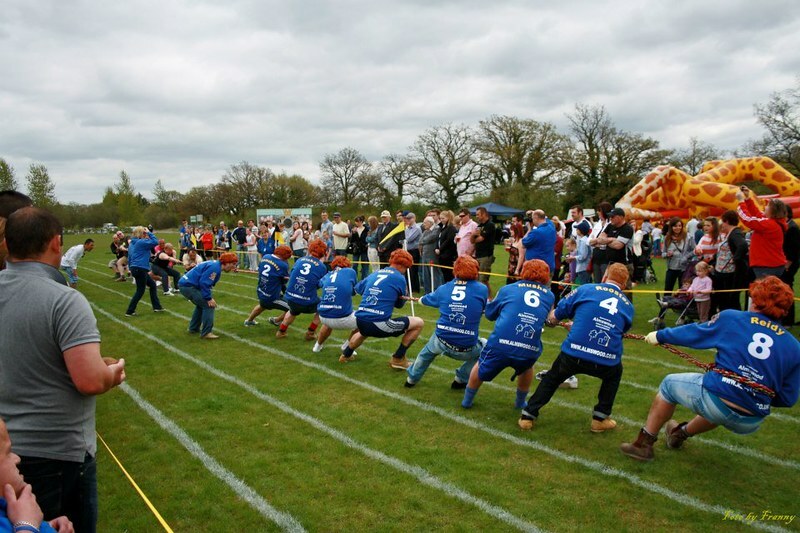 • 5th - Over £7000 - Out of the Blue Family Fun Day - View details. 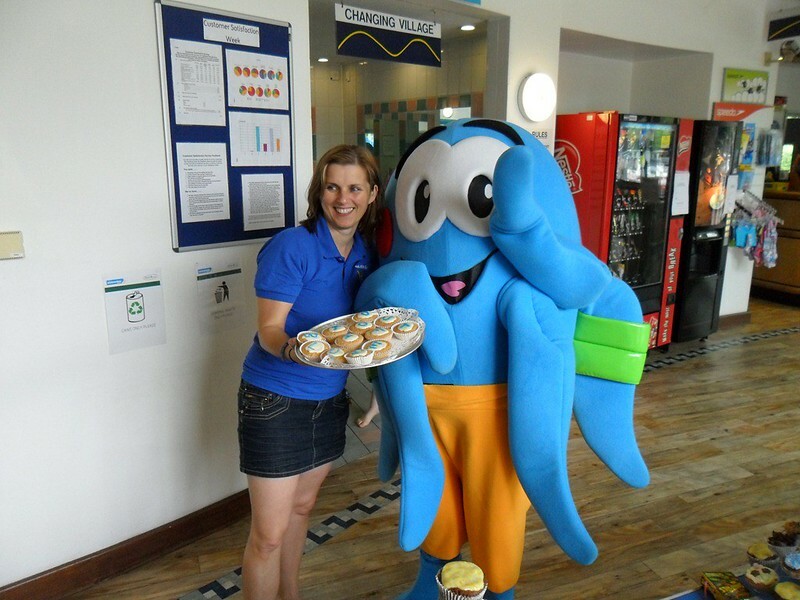 This year’s Out of the Blue Family Fun Day was a fantastic success, we want to say a big THANK YOU to everyone who came along to support us and take part in yet another great Out of the Blue event. 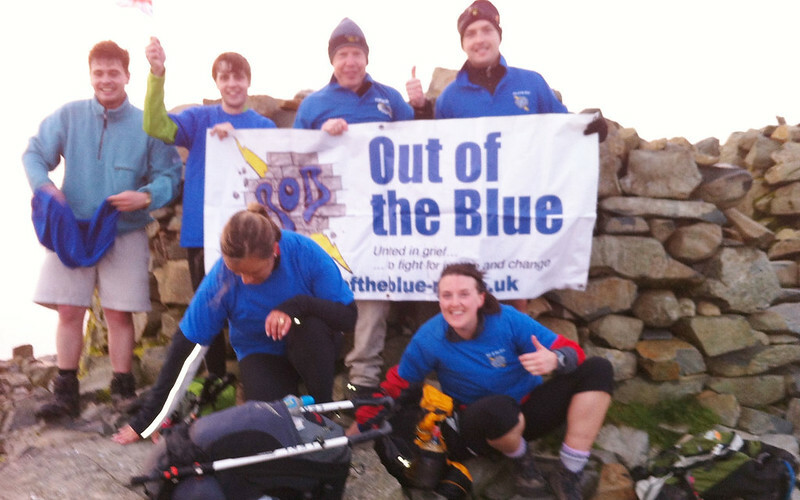 Together we raised over £8240 for the Out of the Blue Appeal Fund and donations are still coming in! 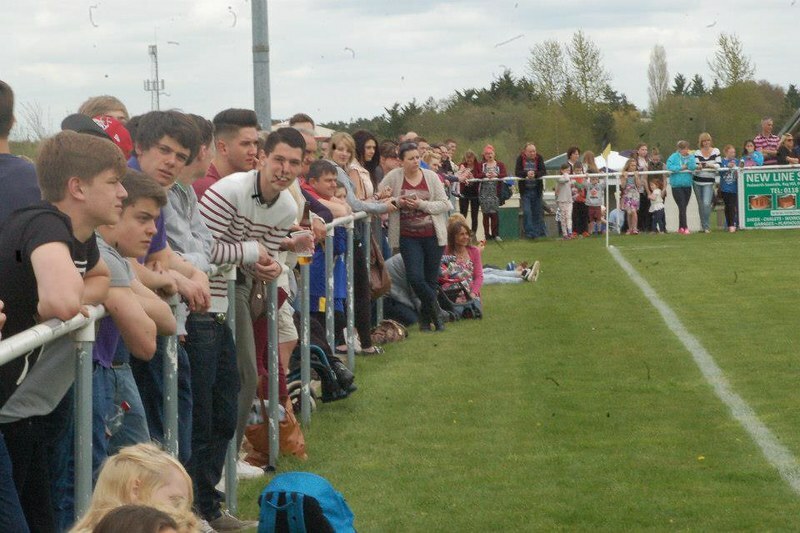 A HUGE thank you goes out to all the Lads and Dads who played in this year’s Robert Sebbage Memorial Football match; all the great acts who performed in the fantastic evening concert; and of course all the many volunteers who helped out with running stalls and setting up, clearing up and everything in between. From all of us, to all of you... THANK YOU! • 10th - £128.88 - Thanks to Steve Purt and family who generously donated £128.88 collected in their loose change jar, it all adds up! • 22nd - £1000 - Tadley Sainsbury’s charity bag pack. - View details. Tadley Sainsbury’s kindly invited Out of the Blue to charity bag pack once again on Saturday 22nd December. A massive THANK YOU to all of our wonderful bag packers who donated their time, and to all the generous shoppers for your kind donations. 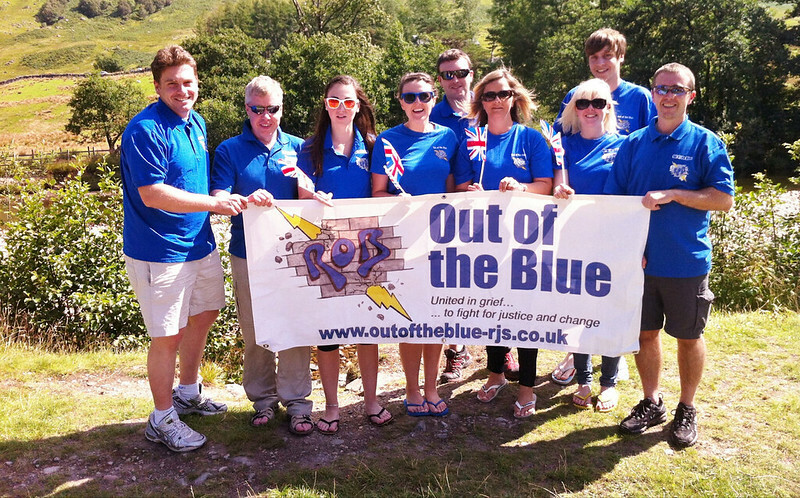 Together you have helped us raise approximately £1000 for the Out of the Blue Appeal Fund! • 17th - Karaoke night at the Rec Soc. • 29th - £500.00 - Burnham Copse quiz. • 27th - £3845.50 - Black Tie Event, Bishopswood Golf Course - View details. 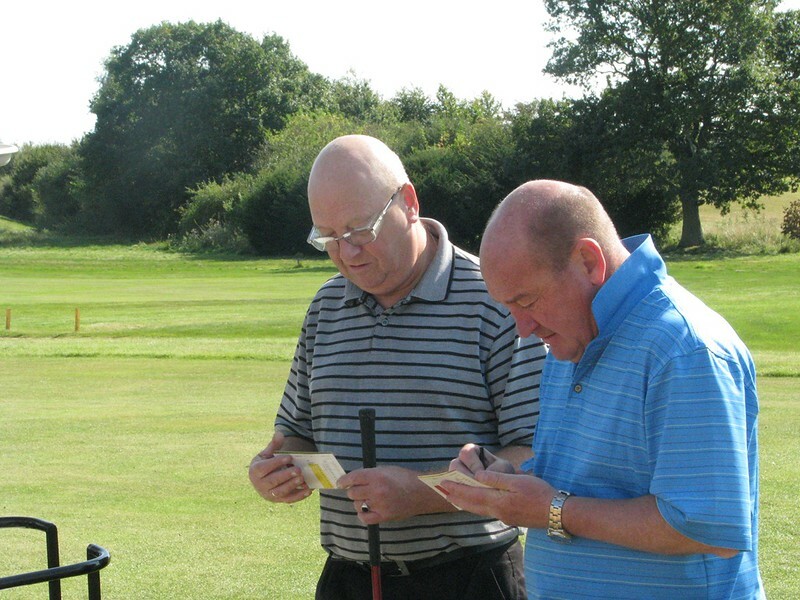 Last Saturday saw the first Out of the Blue black tie event which was held at Bishopswood Golf Club. 100 people enjoyed a great evening that included a raffle and an auction which helped to raise money for the fund. With ticket sales being added to the amounts raised during the evening, a fantastic £3845.50 was added to the fund. A huge thank you goes out to Steve and Alison Walkley who organised the event for us. 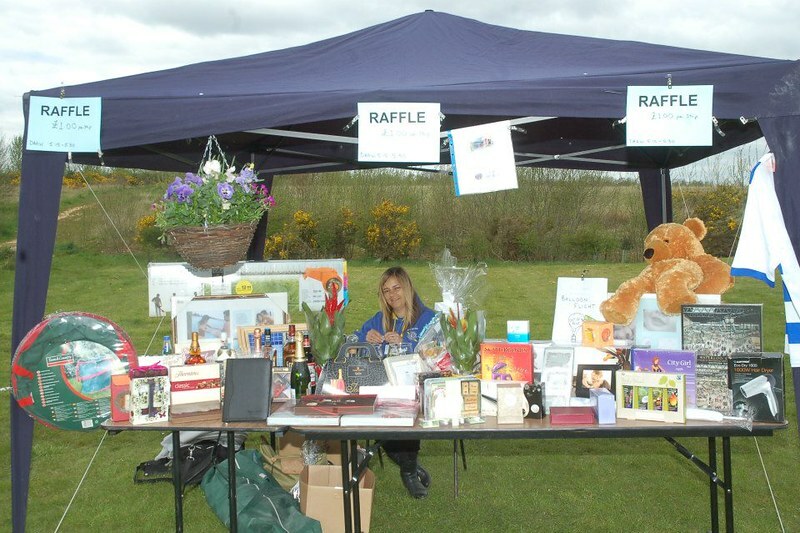 We would also like to thank everyone who donated raffle prizes and auction items. You know who you are and thank you once again. 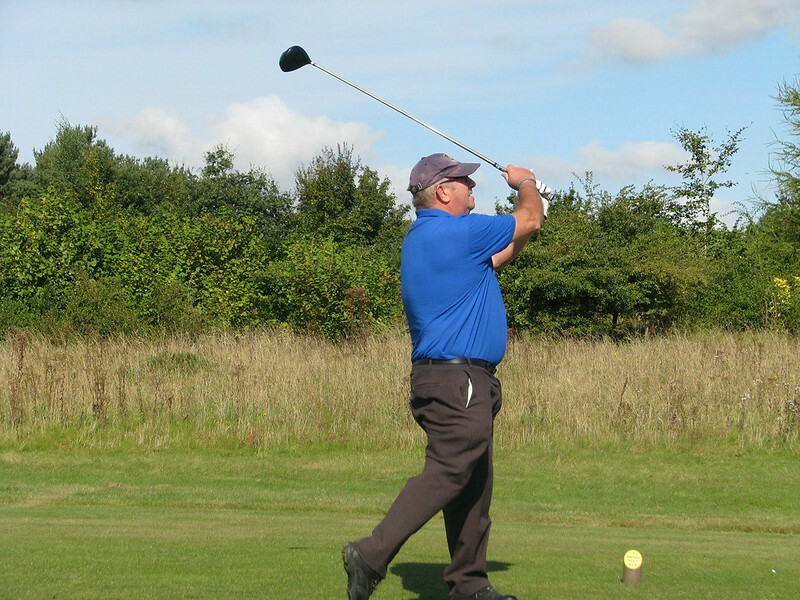 • 22nd - £610.45 - Golf day at Dummer Golf Course - View details. 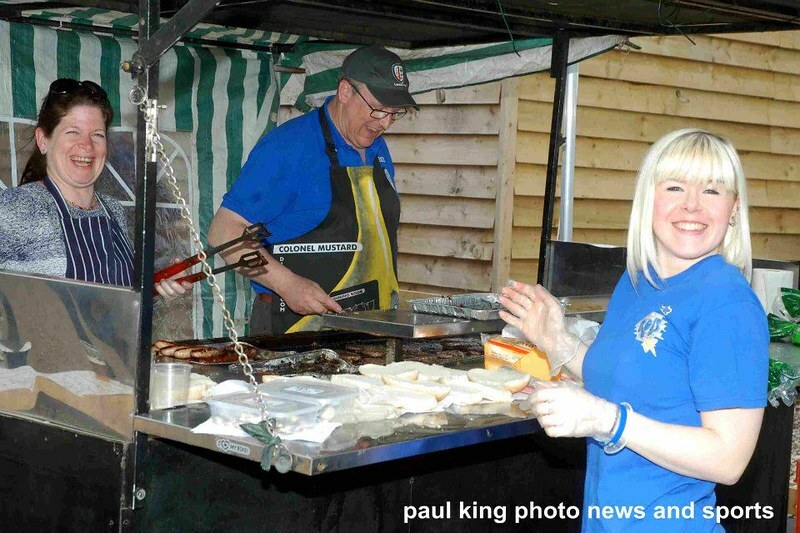 Steve Ballard, a friend of Andy Sebbage’s for over 30 years, wanted to raise money for the Out of the Blue fund. 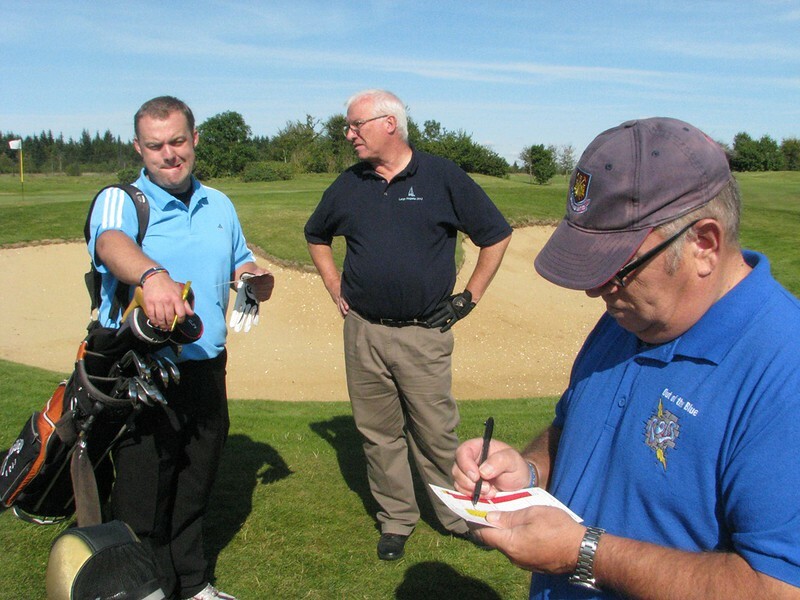 He suggested that he organise a Golf Society Day which, after much planning, took place on Saturday 22nd September, hosted at Dummer Golf course. 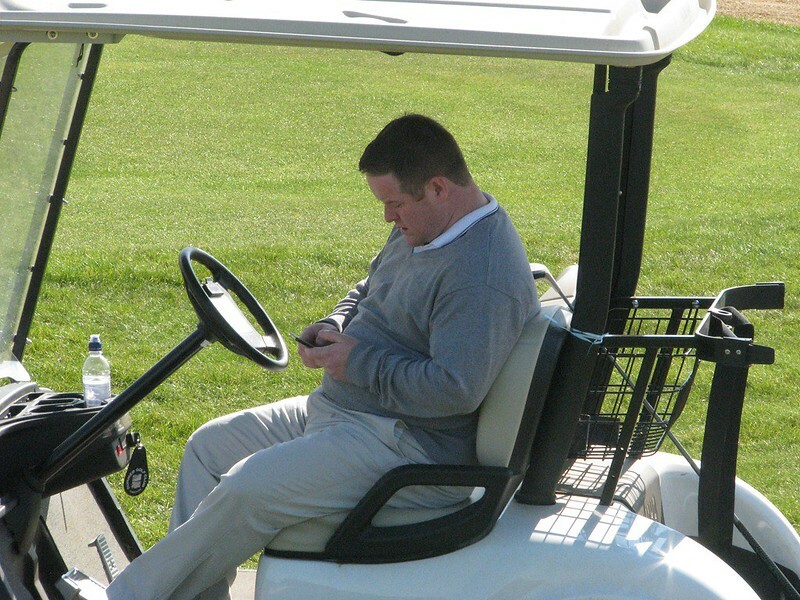 The day went well with 28 golfers enjoying a nice sunny day. With a menu of fines, a raffle and an auction Steve and the organising committee raised a fantastic £610.45. Thank you to everyone who was involved in what was a great day all round! 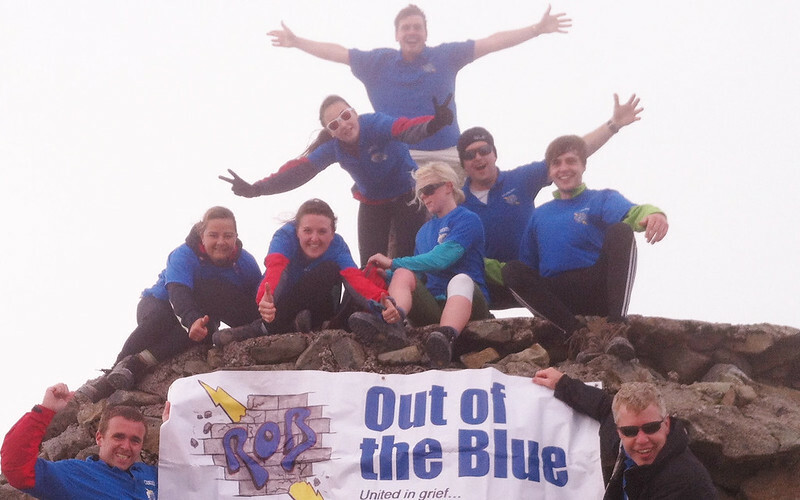 • 11th - 12th - £701.00 - The 3 Peaks Challenge - View details. 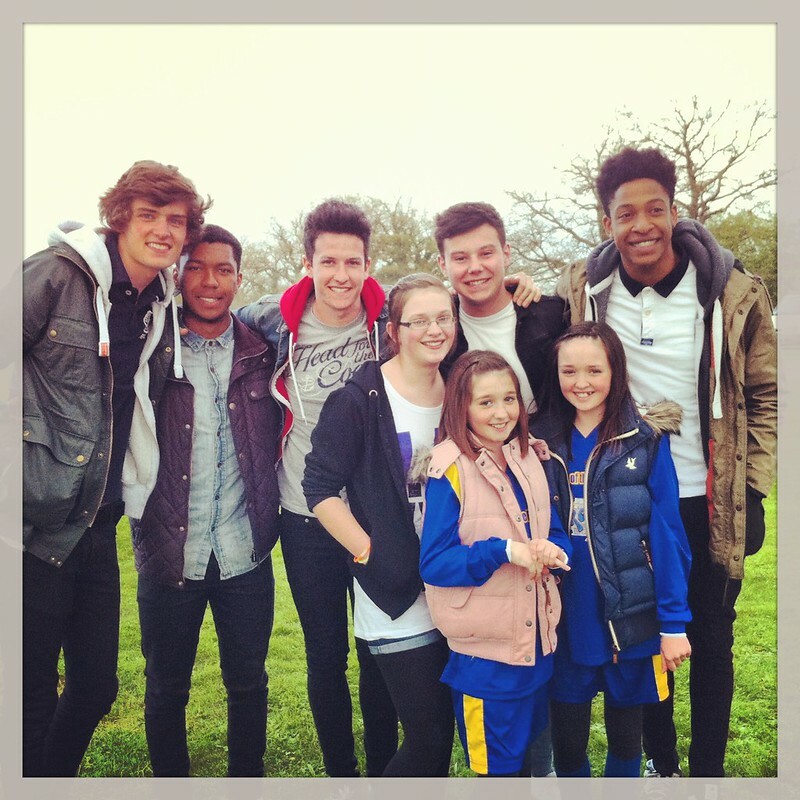 A group of friends from Tadley got the chance to tell millions of people about their charity challenge when they called BBC Radio 1. Deborah Patton, who was part of a team of nine that took on the Three Peaks Challenge, called the Radio 1 breakfast show to tell DJ Chris Moyles about their mission before they completed it that weekend. Deborah said: “Someone suggested I call in. I waited on the phone for absolutely ages but it was worth it in the end.”. Several million people heard Deborah talk about the attempt to scale Ben Nevis in Scotland, Scafell Pike in the Lake District and Snowdon, in Wales. The challenge was to do it between 5pm on Saturday August 11th and 5pm on Sunday August 12th. Deborah was joined on the trek by David Patton, Steph Hannay, Jo Champion, James Hellem, Mikey McDonald, Tim High, Loran Harwood and Jason Burke and their driver Kevin High. • 5th - £1021.14 - The Hurst School non-school uniform day - View details. We would like to thank Mr Christian, Headteacher of the Hurst Community College, and his team for organising a non-school uniform day in support of the Out of the Blue Fund. Thank you also goes to all of those pupils who donated to the fund on the day and enjoyed a day out of uniform. 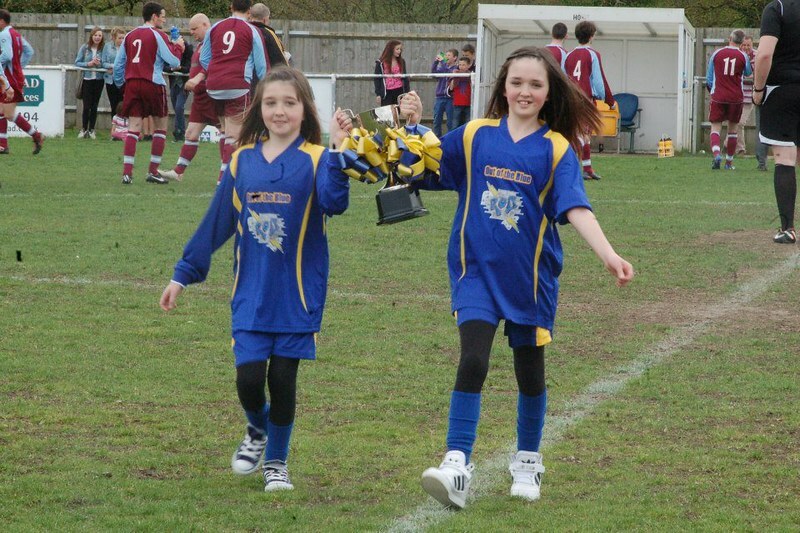 They raised a fantastic £1021.14 which was gratefully received! 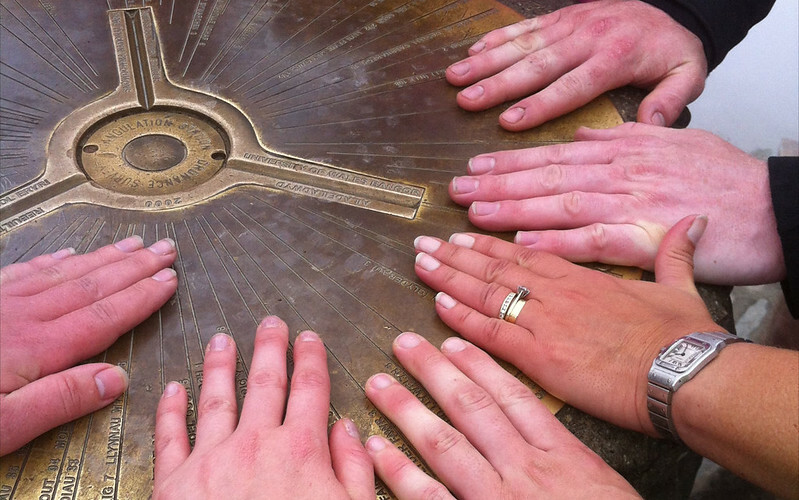 • 7th - 9th - £100.00 Walk along the Kennet and Avon canal from Bristol to Reading - View details. Congratulations and a huge thank you goes to Emma, Kayleigh and dad, Chris Forward (Rob’s Ramblers), who have finally reached the Oracle in Reading after their epic 87.1 mile hike along the Kennet and Avon canal from Bristol to Reading. 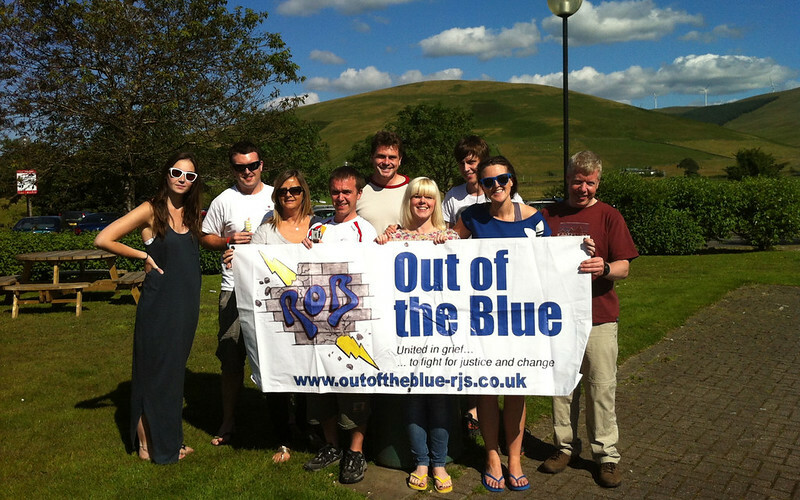 The walk took them three days and was all in aid of the Out of the Blue fund. Emma was at primary school with Martin Sebbage; Roberts brother. 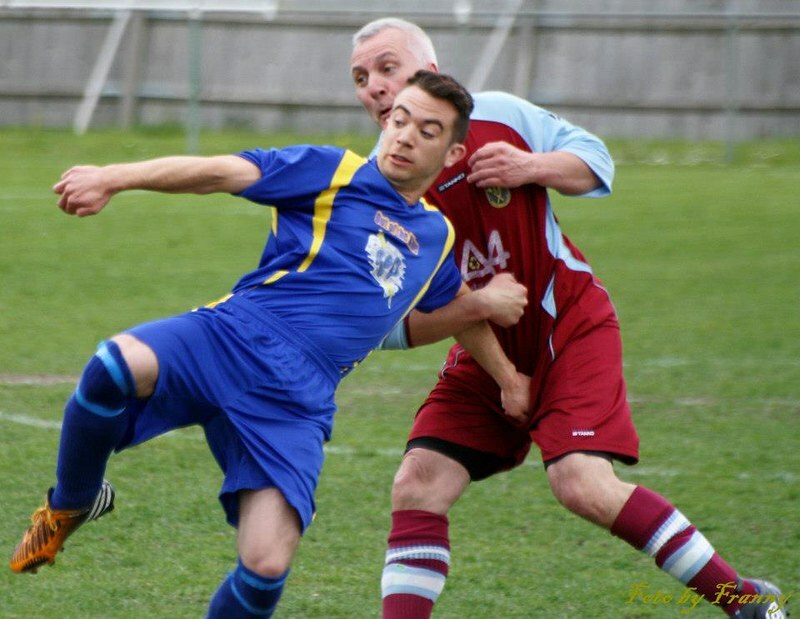 • 14th - £373.00 - Tadley Calleva Youth Football Club - View details. 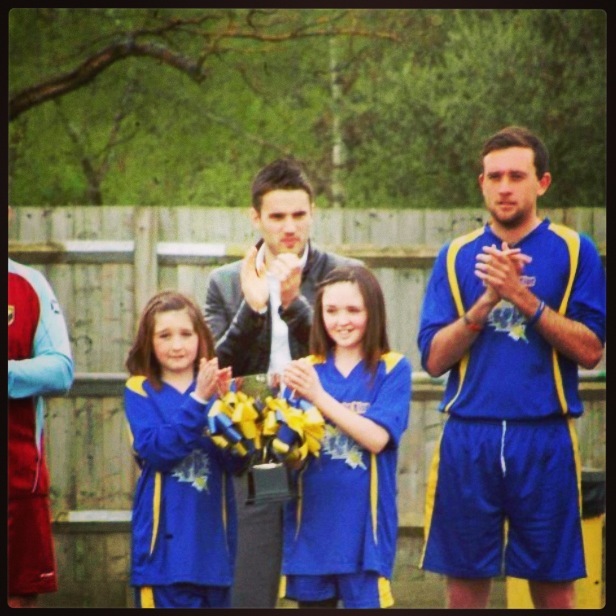 Tadley Calleva Youth Football Club - Under 11’s. On Saturday 14th July 3 young boys who play for the Under 11’s team in the Tadley Calleva Youth Football Club presented the Out of the Blue Fund with £373.00. This huge amount was raised after the 3 boys decided to forgo their birthday presents and ask for money instead. They then presented this to Andy Sebbage at the clubs presentation evening. They receive our heart felt thanks as well as receiving a huge cheer and round of applause from all of the people who were in attendance on Saturday evening. Thank you James, Josh and Jay! • 19th - £472.00 - The New Inn, Tadley - View details. 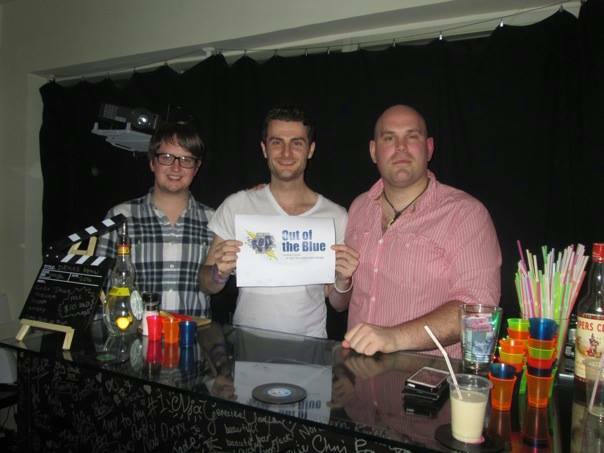 We would like to say a “Big Thank You” to The New Inn at Tadley for supporting the Out of the Blue Fund. Over the past few months they have organised a Pub Crawl Bike Ride which raised £260.00 and held a comedy night that raised £212.00. Thank you to all of the people who helped to raise £472.00. • 28th - Colleen and Lee's sky dive with the UK Parachuting club - View details. Colleen and Lee have agreed to take on a Sky Dive to raise money for the fund. It is taking place on the 28th July with the UK Parachuting club at Beccles airfield in Suffolk at 12.30. Following a short pre-jump briefing, Lee and Colleen will experience the thrill of freefall and even learn the basics of steering and landing a modern ‘square’ gliding parachute, while securely attached to a highly experienced Instructor. They will have a parachute specially designed for two people. They will take an aircraft to around 13,000ft (approx. 2 miles high) where they leave the aircraft with their instructor. Falling at 120mph, they will descend to 5,000ft in around just 40 seconds, where their instructor will open the parachute and fly them safely back to earth. They will have around 6 minutes under the parachute to enjoy breathtaking and unique views of the local area. Mad! Good luck to both Colleen and Lee! • 4th - £2339.00 - The Ambassador club's Jubilee events - View details. 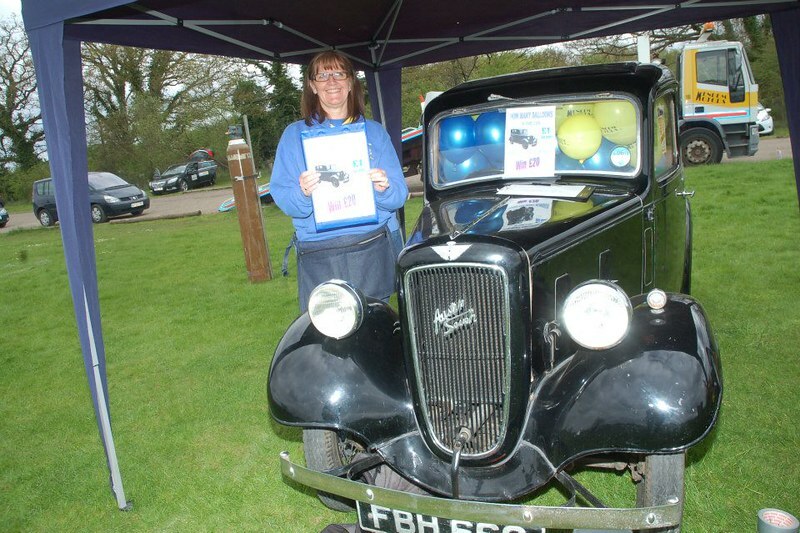 The Ambassador Club in Tadley ran two events on the Jubilee Bank Holiday Monday. 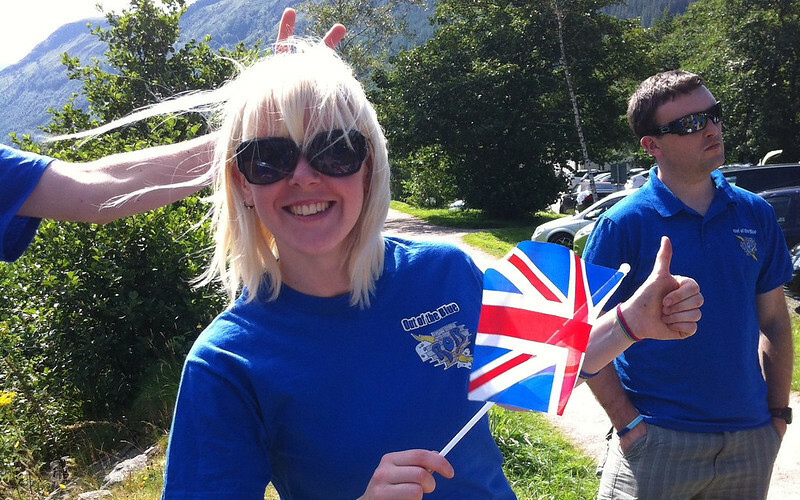 The first was a family fun day during the day followed by a Jubilee Celebration party in the evening. They raised a fantastic £2339.00. A huge thank you goes out to everyone involved in making these two events a great success. A special thank you goes to Joanne Saunders and Donna Jenkins for organising the day! • 15th - £130.00 - England v Sweden on the HD big screen at the Community Centre in Tadley. • 15th - £47.16 - Coffee morning at Doodles, Franklin Avenue, Tadley. • 18th - £602.90 - Quiz Night at the Calleva Arms - View details. Thank you to everyone who came along to the Out of the Blue pub quiz at the Calleva Arms on Monday evening. A fantastic £602.90 was raised, thank you to all of the teams who turned up and made the evening a great success! • 23rd - £80.00 - Pool Party at Tadley Swimming Pool. • 23rd - £711.00 - London to Brighton Bike Ride. • 5th - £769.12 - Talent Showcase at QMC College - View details. 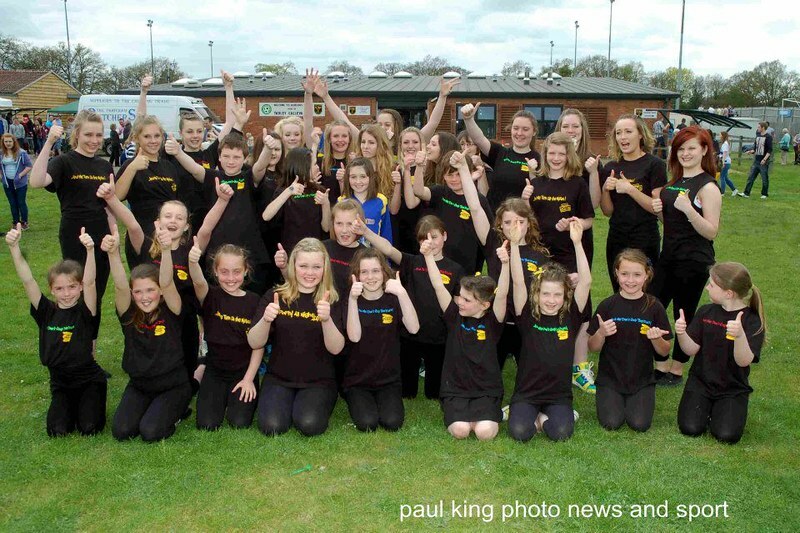 Queen Mary’s College in Basingstoke was the venue for the Out of the Blue Talent Showcase night on Friday 4th May. There were over 150 people who saw a great show and helped to raise a fantastic £860.00 that goes to the Out of the Blue fund. A huge thank you goes to Emily Goodenough who organised the event and to the performers below who all gave up their time free of charge. • 6th - £10471.80 - The official launch of the Out of the Blue fund - View details. 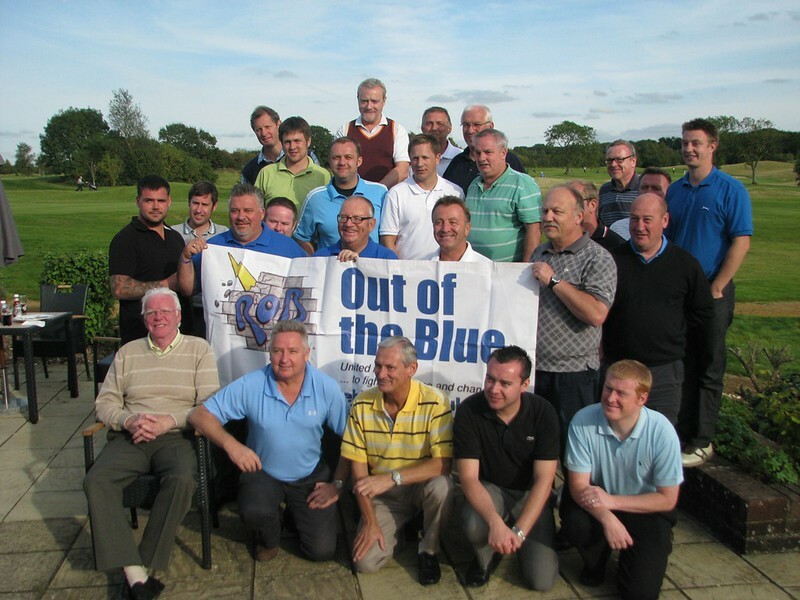 The Out of the Blue official launch day took place at Barlows Park in Tadley on Sunday 6th May. The event included not only the “Lads v Dads” football match, but also refreshments, a hog roast and BBQ, craft stalls and many more attractions. The “Lads” arrived in an open top bus to a crowd of hundreds of people, who all cheered them in; a highly emotional moment for many people but one that signalled the start of a fantastic day. The huge crowd joined the players and the match officials in a one minutes applause for Robert Sebbage prior to the start of the game, which ended up with a 4-2 win for the Lads. The winning captains, Martin and Steven Sebbage, were presented with the Out of the Blue Memorial Cup which they proudly accepted before raising it to a huge roar of approval and support. The purpose of the day was to bring the local community together to raise awareness and much needed money for the fund and at the same time have fun! We would like to extend a huge thank you from the bottom of our hearts to all of those people who helped organise and run the event, to those who gave up time and donations free of charge and to all of you who attended on the day. You helped us to raise a staggering £10,471.80, thank you all so much! • 11th - £282.00 - Dance Phaze - View details. Tadley based dance school, Dance Phaze should be very proud of themselves as they raised £282.00 from a successful cake sale during the interval of their latest production “and we turn up the music”. • 17th - £3823.96 - Bam Nuttall v Aldermaston RFC rugby match - View details. I am delighted to post that after the match, the BAM Barbarians were able to hand Rhian & Andy cheques to the value of £1,400 donated by several of our suppliers. On the night, thanks to all those who attended and were so generous, at the gate, brought raffle tickets, partook of the BBQ and including a generous donation from Aldermaston RFC, we raised a further £1373.96. Finally because our entire workforce got behind our team we raised another £600 and this week we received another 2 donations for suppliers. This means the total raised so far is an impressive £3823.96. A great night was had by all and I would like to express our sincere thanks to Aldermaston RFC for their hospitality, cooperation and sportsmanship throughout the planning and playing of the match. Well done everyone for raising both this amount of money and supporting Out of the Blue in their fight to get justice for Robert, Jordan, Steven, Callum, Sam and their families. • 19th - £382.00 - Coffee/tea and cake morning, Tadley Swimming Pool - View details. 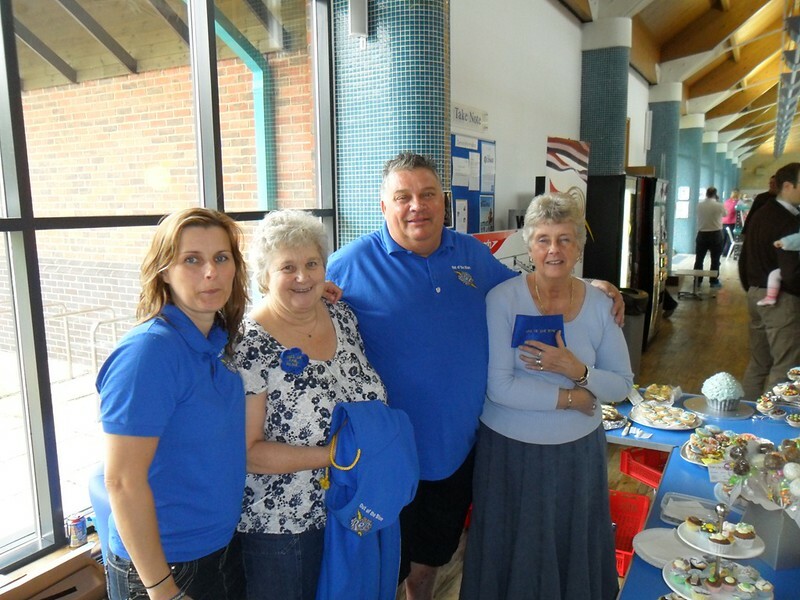 The coffee morning and cake sale at the Tadley Swimming pool on Saturday raised a huge £382.00. Thank you very much to all of those people who were involved in baking cakes, “selling” tea/coffee and cakes on the day, to the staff who all wore something blue for the day and to the swimming pool management who allowed Jackie to organise and run the event, and to anyone else that was involved, thank you to all of you! 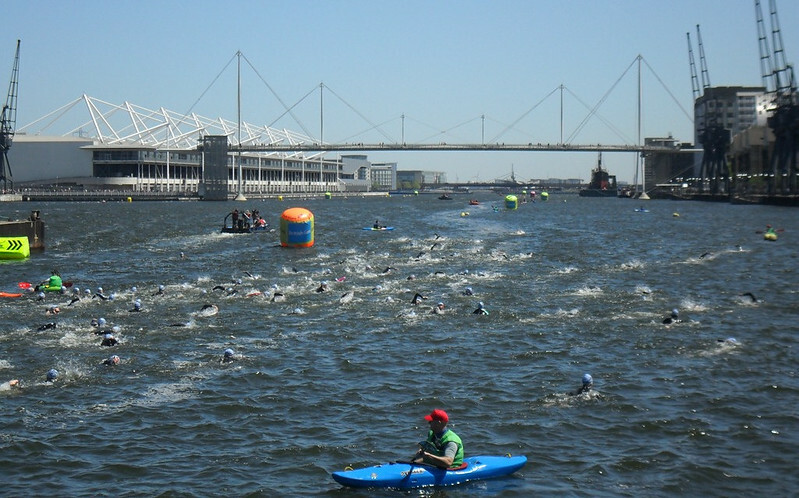 • 26th - £943.23 - British Gas Great London Swim in the Royal Victoria docks - View details. 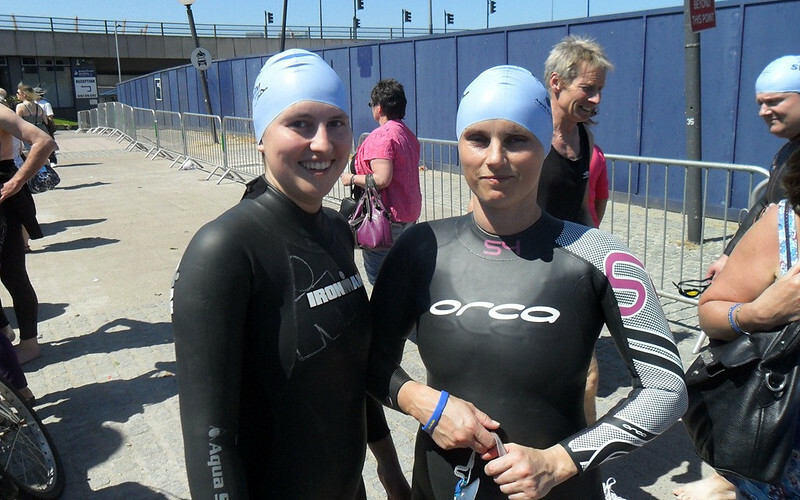 Well done to Jackie and Becca Nash who successfully completed their 1 mile open water swim on Saturday. 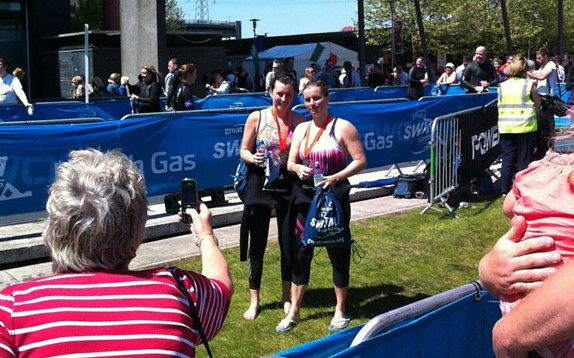 Thank you to all of those who travelled up to Victoria Dock in London to support the two girls. It looks as though they have raised £943.23, a fantastic achievement and thank you once again! • 28th - £1845.83 - Bag packing at Sainsburys - View details. Volunteers turned up in large numbers at Sainsbury’s in Tadley on Saturday 28th May to pack customers bags and to raise money for the Out of the Blue fund. There was a real sense of community spirit shown and as a result we managed to raise a massive £1845.83! A huge thank you goes out to the manager and team at Sainsbury’s for allowing us to spend the day with them raising money and to the volunteers who helped out throughout the day. And finally, to everyone who threw their loose change (and notes) into our Out of the Blue buckets, thank you so much! • 1st - £500.00 - Gary and Matt Goodenough run the Reading half-marathon - View details. 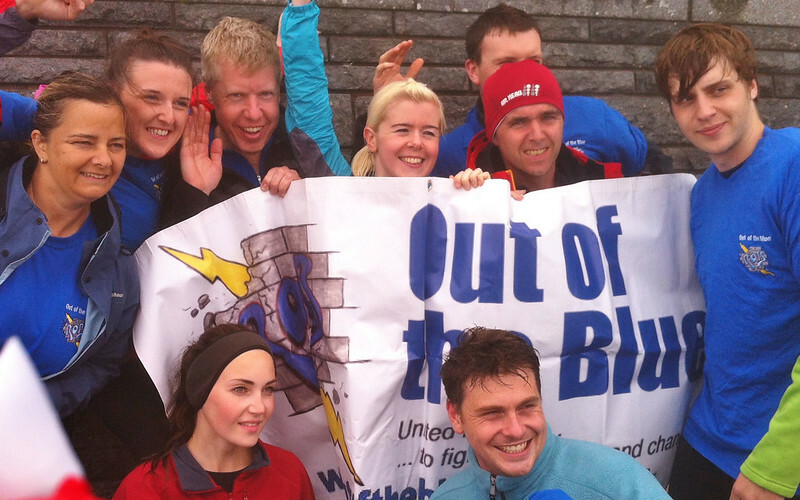 Gary and Matt Goodenough ran in the 2012 Reading half marathon on behalf of the Out of the Blue fund. Matt finished in 1 hour and 51 minutes and Gary in 2 hours and 16 minutes. Congratulations to both of you. In addition they also managed to raise a fantastic £500.00 for the fund. Thank you to both of you for your efforts! 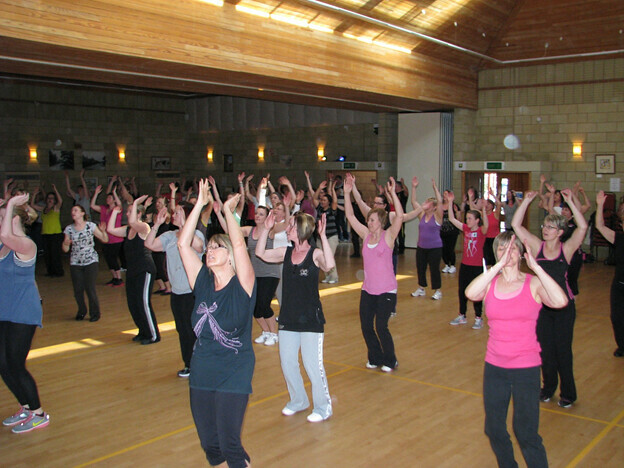 • 1st - £275.49 - Zumba afternoon - View details. 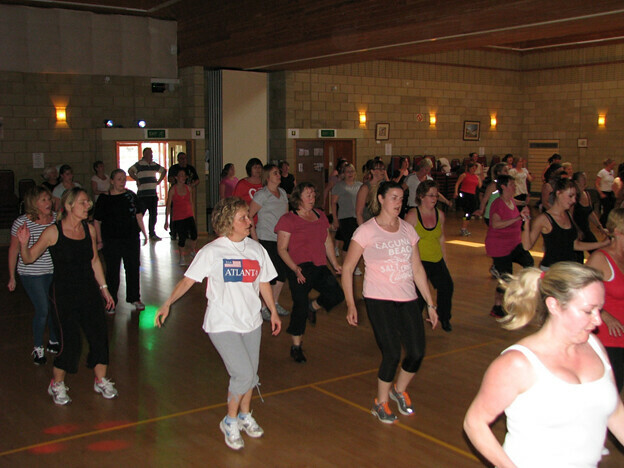 On Sunday 1st April a Zumba Party was held at the Tadley Community Centre. It was hosted by Helena who runs regular Zumba classes across the Basingstoke and Tadley area. She was approached by Sharon, a regular Zumba goer, to see if she would raise money for the Out of the Blue fund at one of her classes. She agreed. The result was that approximately 70 ladies and 1 gentleman; Andy Sebbage “Partied” for one and a half hours raising an amazing £275.49. A huge thank you to everyone who got involved and partied on down, thank you! • 31st - £250.00 - Coffee afternoon at the Ambrose Allen Centre - View details. 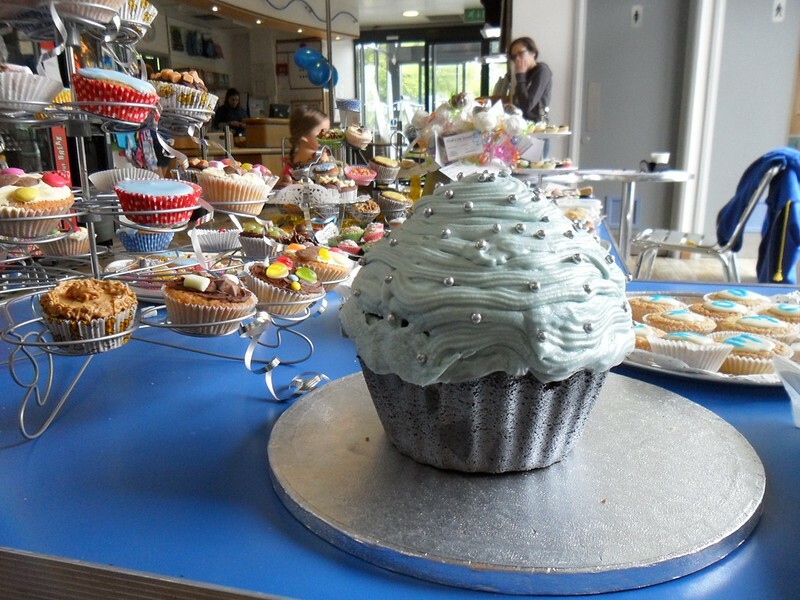 M&M Helpers held a fundraising event in aid of the Out of the Blue Fund on Saturday 31st March. They sold tea and coffee and homemade cakes in addition to holding a raffle with great prizes and much, much more. The event was organised by Michelle (15) and her friends and they managed to raise a fantastic £250.00. Thank you so much for your help and support.